At Aidan Garlington our clients are asking about Christmas party hair ideas – and although we’re in early Autumn, it’s never too early to get ideas for festive hairstyles in Bristol. At our Baldwin Street hair salon, one of the most popular and unique elements we offer our clients is our Styled to Perfection menu range of hairdressing services – a recent addition to our Colour Fast Bar. In essence, a client can pop in (although we do recommend that it’s best to make an appointment first) and get any style from as little as £15. A popular Christmas party hair option many of our clients opted for last year was our 15-minute hair-up service. This gives clients a quick and simple option to get them ready for any Christmas party or function. 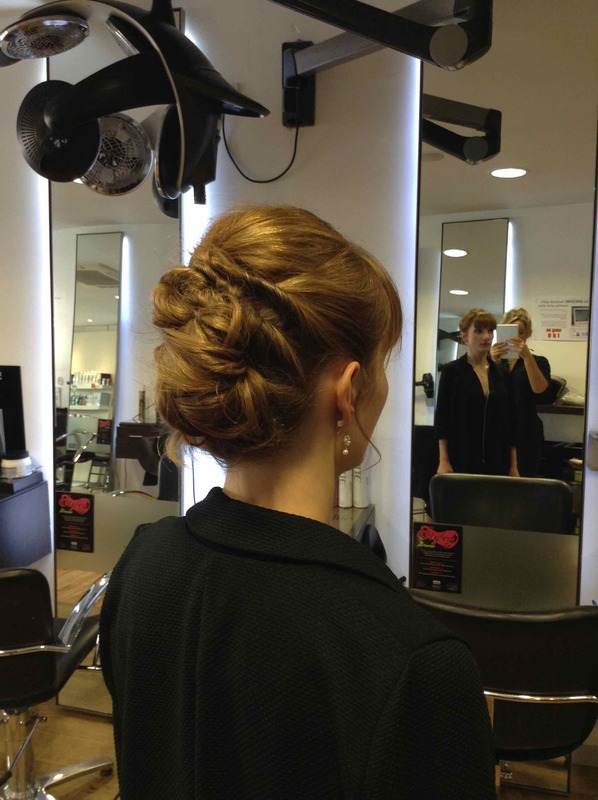 Up-Do hairstyling for Christmas parties in Bristol remains a firm favourite with our central Bristol hairdressers, and we can cater for this hot seasonal look. 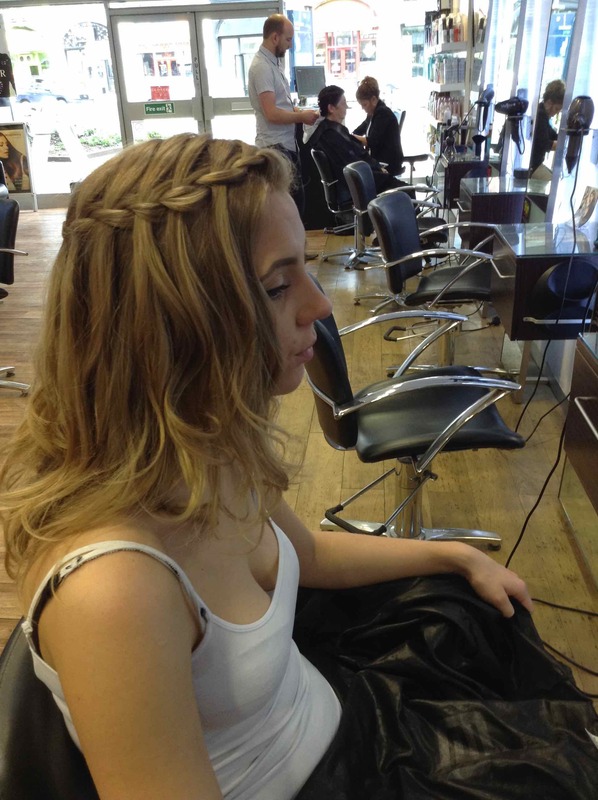 We can also provide alternative party hair ideas, styles, tips and inspiration – including hair plaits for Christmas, as well as five-minute hair up hairstyling. To see the full range of Christmas hair services, hair restructuring products, hair treatments, beauty treatments, hairdressing, hair extensions and hair colouring services we offer at our central Bristol hair salon, please get in touch here. 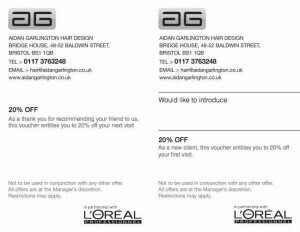 At Aidan Garlington we believe in rewarding our loyal and trusted client base – which is why we have a super Refer-A-Friend Scheme to give discounts and benefits. The Refer-A-Friend Scheme is something we’ve had in place at our central Bristol hair salon for some time now, and it’s proved to be incredibly popular with our regular clients. It couldn’t be simpler to access, and start enjoying discounts from us. Collect a card from our hairdressing salon on your next visit, then give half of it to a friend. They then book in with us and mention your name as well as giving us their half of the card. This entitles them to a full 20% discount. When you next visit us, you also get a 20% discount, too, as a big thank-you from us to you. 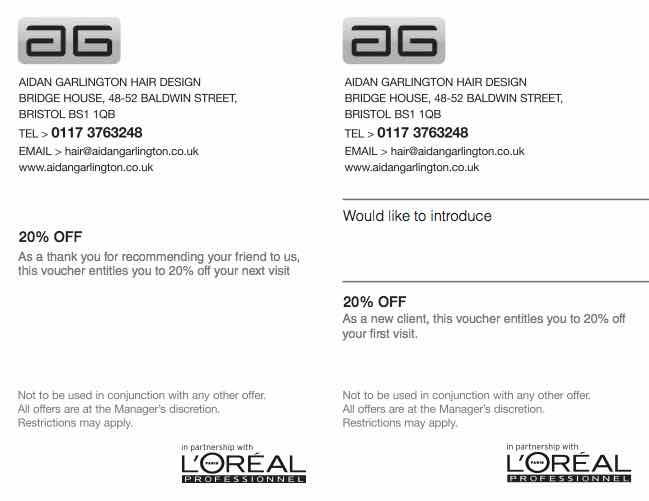 The 20% discount is available on any hairdressing service at our Baldwin Street hair salon in central Bristol – except for hair extension work. It also doesn’t apply for the purchase of any hair products or hair treatment products. The Scheme has been running for five years now, and has proved to be one of our most popular and powerful promotional tools. Our clients love it! Simply ask in-salon when you visit us – please also mention this blog post when you collect your Refer-A-Friend card, and we look forward to booking you in this Autumn with a full 20% discount on your hairdressing services. What will the top hair colour be in Bristol this Autumn? At Aidan Garlington we keep a close eye on upcoming seasonal hair trends – especially for the favourite hair colours in Bristol and the wider UK. Many of our clients have been asking in the last few weeks what will the top hair colour be in Bristol this Autumn – and as leading experts in the delivery of hair colouring services at our Baldwin Street hair salon, we have the answer. 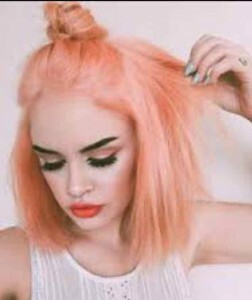 We think that the most popular hair colour this Autumn in Bristol will be the coppery peach colour pictured above. This rich, pinky-orange tone is gorgeous. It’s a fantastic, strong, edgy hair colour and is perfect for the Autumn season. Our hair colouring stylists in central Bristol can either provide a permanent hair colour change using L’Oreal hair colouring products, or we can offer a temporary hair colour change using Revlon Neutri-Colour Cream products. Permanent hair colouring starts from £36 whilst our temporary hair colouring services begin from just £15. Simply ask in-salon for further details. We also offer a full and free hair colouring consultation to all our clients, so come and see our hair colouring team to get your Autumn hair colour booked.